We have 11 perfect bouncing water babies. 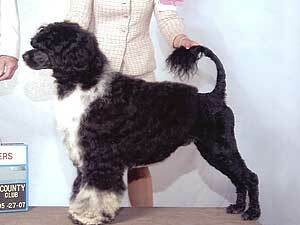 This breeding represents a wonderful combination of beautiful dogs known for their conformation and working ability. Please enjoy our puppy gallery!! 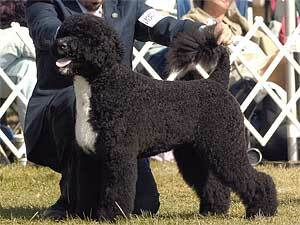 Our breedings have produced dogs that have excelled in the obedience, agility and show rings. While we enjoy this aspect of our dogs, it is our desire, above all else (whether or not they are going to compete for a title), that they are loved, enjoyed and appreciated by the family they live with and are an integral part of the family. All breeding dogs are certified by the Orthopedic Foundation for Animals (OFA), genetic eye diseases by the Canine Eye Registry Foundation (CERF), Optigen, GM-1 and cardio tested prior to breeding.